The Mutton Qorma is rich and creamy. The mutton is cooked tender in Knorr Chicken Stock Powder and the dish is finished with spices and cream. Download the recipe for Ramadan below! Dissolve Knorr Chicken Stock Powder in simmer water. Boil the mutton cubes until tender, this could take up to 40 minutes. Strain the meat out of the stock but keep the stock liquids. 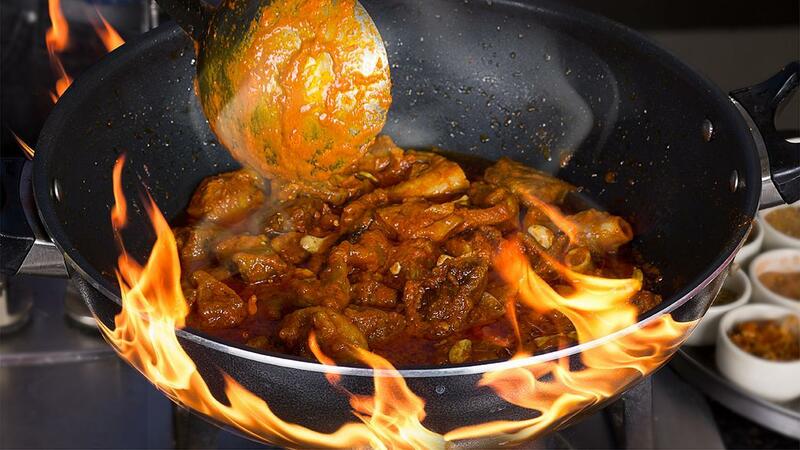 Heat Rafhan Corn Oil in a wok and fry off garlic, ginger and cardamom. Then add chilli, Garam masala and nutmeg. Then add yogurt, onion paste and Knorr Tomato Ketchup, cook until sauce splits. Next add the mutton meat. Followed by a little stock to create a gravy. Once gravy thickened up add cashew nut paste. Garnish with ginger and coriander, seve hot with butter naan.